Kids rooms are always so much fun to design, style and decorate. It has been a bit of an evolving process getting my kids rooms finished so I thought I'd share some pics of what they currently look like, otherwise it will never happen! I've tried to make them as colourful and fun as possible whilst still sticking to the grey walls we have running throughout our light filled Victorian house. For inspiration I find that the books Creative Family Home and Creative Children's Spaces by Ashlyn Gibson always feed my creative juices in finding fun and imaginative ideas for modern family homes. I love the books encouragement to be original, avoid playing safe and doing what works for your unique family and space. 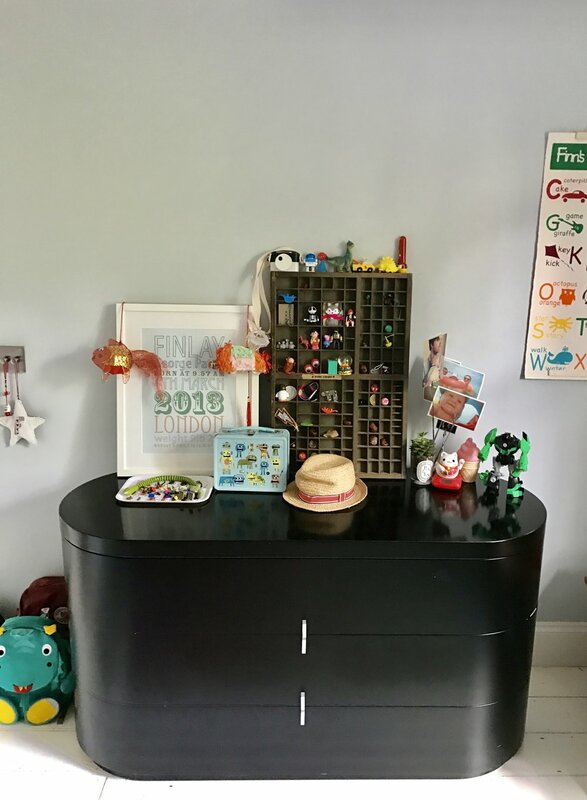 Never one for the monochrome or minimal, I love my kids rooms to hold their keepsakes, be somewhere to express their personalities and feed their imaginations, somewhere vibrant and fun to inspire their growing minds and individuality. 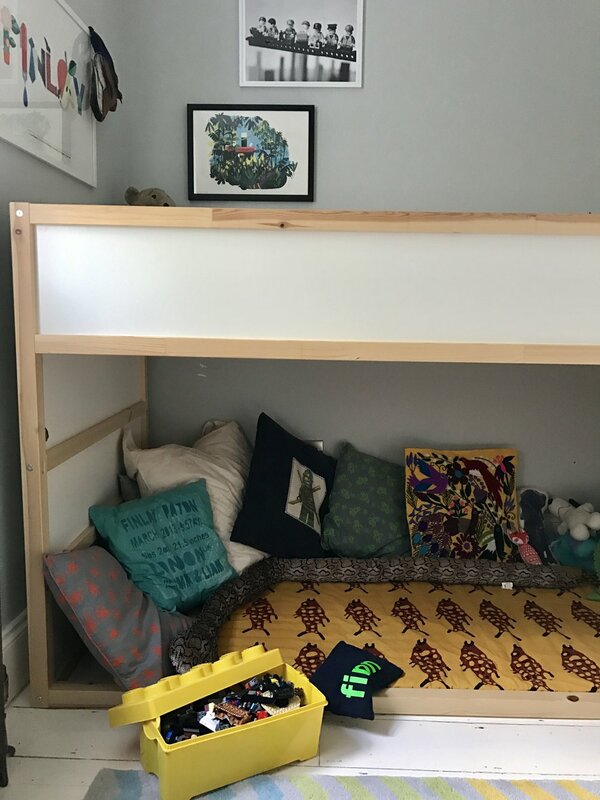 In Finn's room (below), washi taped photos declare the room as his and a colourful zig zag rug (Old from Great Little Trading Company) and OYOY adventure rug adorn the floors as you enter. The Kura Ikea bunk bed (famous for being a serious Ikea hack bed ) is the main focus of the room, it's the perfect hideaway and hangout for reading books and building lego. Simply throw the Balinese Batik throw down the sides and you are completely hidden in your own little den. I love the simplicity of the bed and have decided not to paint it or fill the side panels with printed fabric as originally planned. 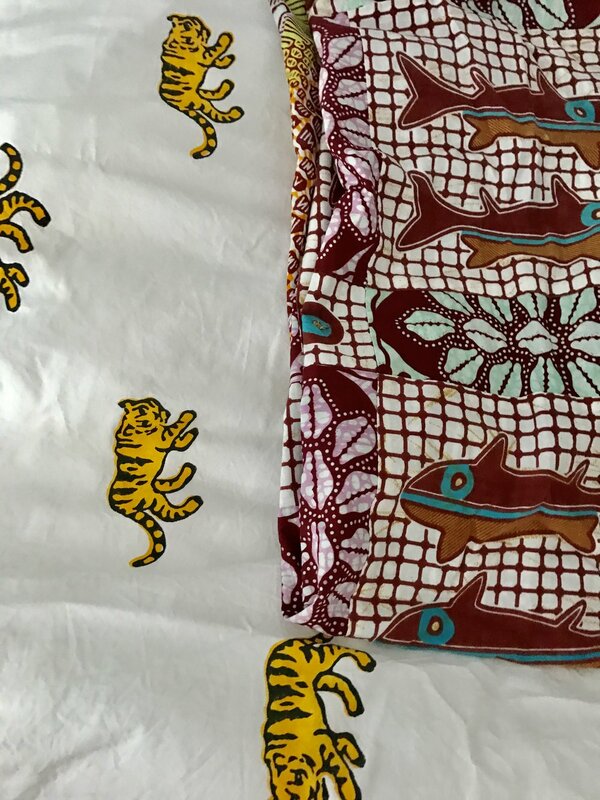 Instead opting for fun bedding such as this hand printed tiger duvet by Lulu & Nat from Olive Loves Alfie and colourful cushions instead. A handmade customised alphabet print made by my talented Mother-in-law spells out words for Finn's very own alphabet. Lego is normally scattered all over the floor so storage boxes and lego heads keep them hidden away when we do a tidy up. 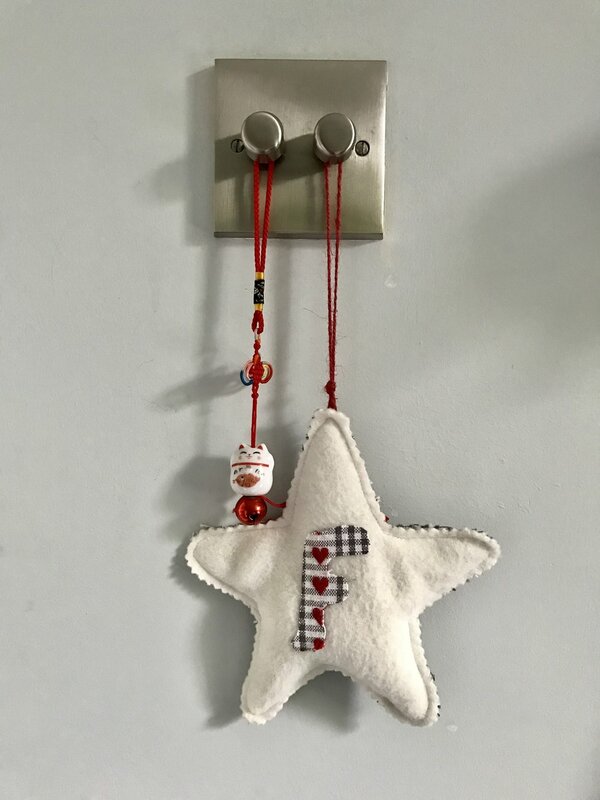 A Gallery bookcase filled with his current favourite stories hangs on one side of his room with a handmade 'Sleep' garland made by a friend when he was born. Lots of trinkets and decorations from the Far East from when I used to travel to Hong Kong and China as a buyer and from my sister who used to live in Hong Kong. A vintage letterpress drawer bought in Margate, leans against the wall and is filled with various toys, conker finds and goody bag presents. His name print that hangs above his bed head is by Nursery Names and the large print in the corner is from the Fredun Shapur, toy design exhibition that we went to a few years back. The table and chair used to be mine (handmade by my grandfather) and is his perfect spot to sit and build lego all day. Violet's room is filled with pops of colour - inspired by her Tallboy units and wooden wall hooks from Olive Loves Alfie. We use the hooks and knobs to display current favourite wardrobe pieces, bags and accessories. Her cot was a hand me down we painted grey and a main feature is the deep pile Beni rug by Olli Ella which I love as it isn't too childish so will last into her teen years and beyond, a real investment piece. We couldn't resist the large Miffy lamp which is a massive hit with every child that sees it and brings a beautiful (adjustable) light to the room in the evenings. A quilted cot bumper and balinese cat blanket were made by my mum. Her baby mattress is by Eve Sleep and the sheet from Avery Row. The golden eyes above her cot are by Lala Loves Decor and a bring a sense of kitsch and fun to her room. Ikea picture ledges run along one side and the plan is to buy more and turn it into a book area. A vintage g-plan style unit that was damaged has been painted grey and creates more essential storage with toy bags stored underneath. The lion head is by Ela & Leo and High Five print by Chris James. The mini retro dolls cot is from This Modern Life.